NFOPad is a small, fast and flexible combined text editor and NFO viewer. 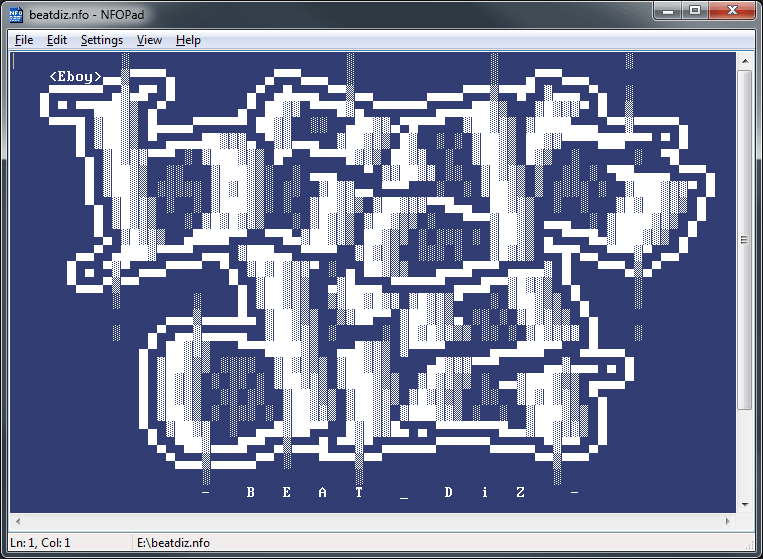 Modeled from Notepad, the program includes customization and an ASCII art viewer. The file extension is used to determine whether to use an ANSI or ASCII font. How to extract: Download the "portable" RAR package and extract (using a program like PeaExtractor) to a folder of your choice. Optionally, delete unnecessary language files. Launch NFOPad.exe. Totally agree with Midas that this is the best .nfo / .diz viewer out there. Been using it for several years. Keep up the great work and THANKS! IMHO, currently the best .nfo and .diz file viewer coupled with a pretty decent text editor; NFOPad can save its settings to the registry or in an INI file.